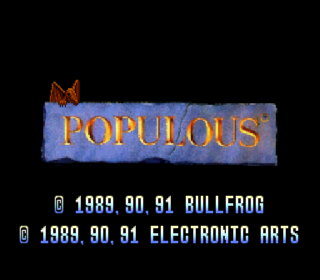 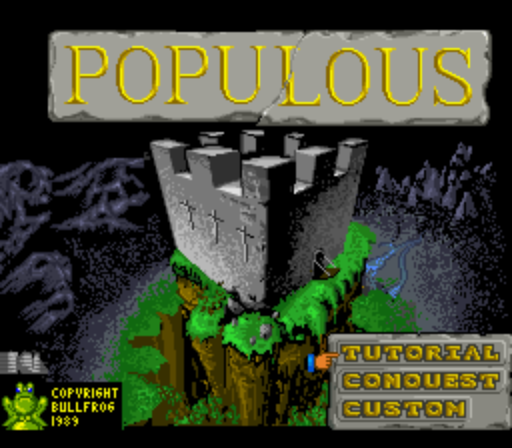 Populous was originally designed for PC and Atari in 1989, and was ported to the SNES later. It was fairly successful as a SNES game. 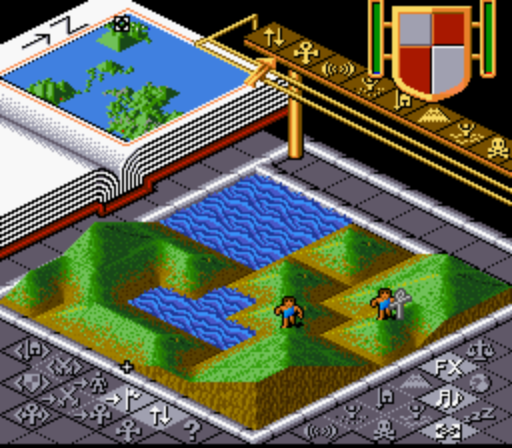 It was one of the more popular "real-time strategy" games for SNES; though it never achieved the same popularity of some other SNES games. In Populous, you play the role of a diety or god. 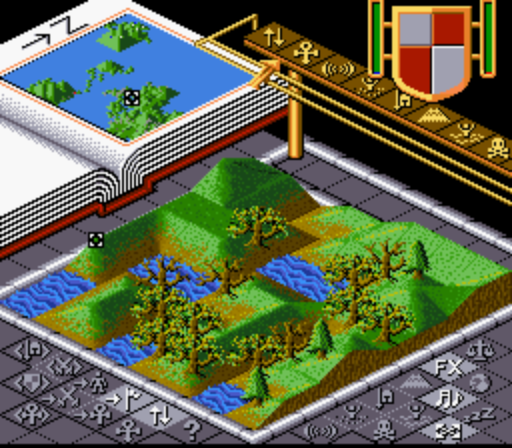 You can play for either the "good" side (or blue) or the "evil" side (or red). Both sides use the same tactics, and use the same building styles; therefore, the side you choose is primarily in name. 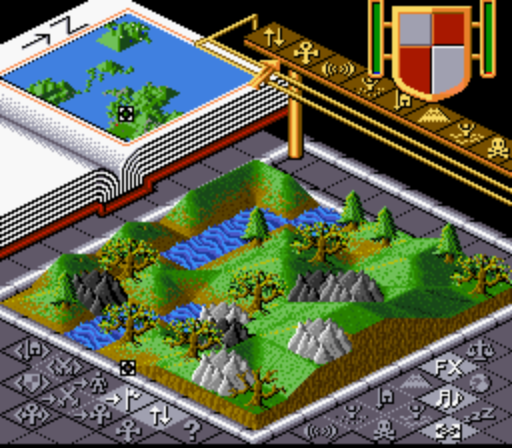 It's worth noting that in conquest mode, many of the maps seem to favor powers used by the "good" side, so playing the "evil" side may prove more challenging. 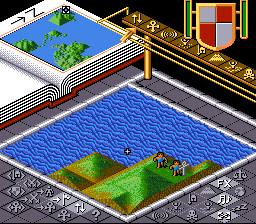 You don't directly control anything that your followers do, with the exception of your leader (who you can set destinations for). You can influence how the population behaves by setting their priorities (settle, conquest, and gather[or muster]). 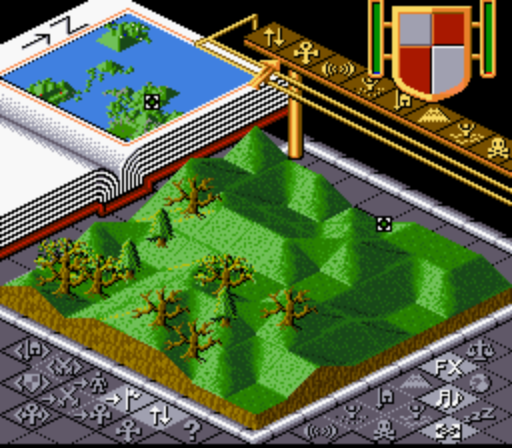 Your primary role is to flatten the terrain so your people can prosper, and using your god-like powers to create swamps, flood the map, make "volcanos", etc to make it more difficult for the other guys.